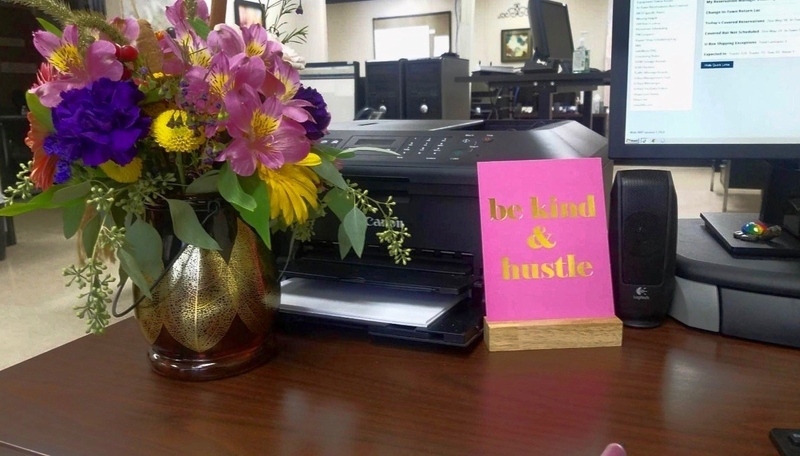 Luv your job, luv your desk. 1. A pack of cable clips so you don't have to deal with a tangled jungle of cords every damn day. These adhesive clips work on all surfaces! Get a 6-pack from Amazon for $8.98. 2. A mini Crock-Pot to heat your food right at the comfort of your own desk. Say goodbye to waiting on that office microwave line! This Crock-Pot has a lid for easy travel and is dishwasher-safe. Its 20-ounce capacity is the perfect single person serving. Also to make sure you avoid burns, the outside of the pot doesn't get hot while warming your food. Promising review: "The line at the work microwave can be long, so I bought this. I was concerned when it said to start it much earlier than meal time to heat up, but it got hot fast. In about 30 minutes my canned soup was hot. I set it up and plugged it in while I got ready for lunch. 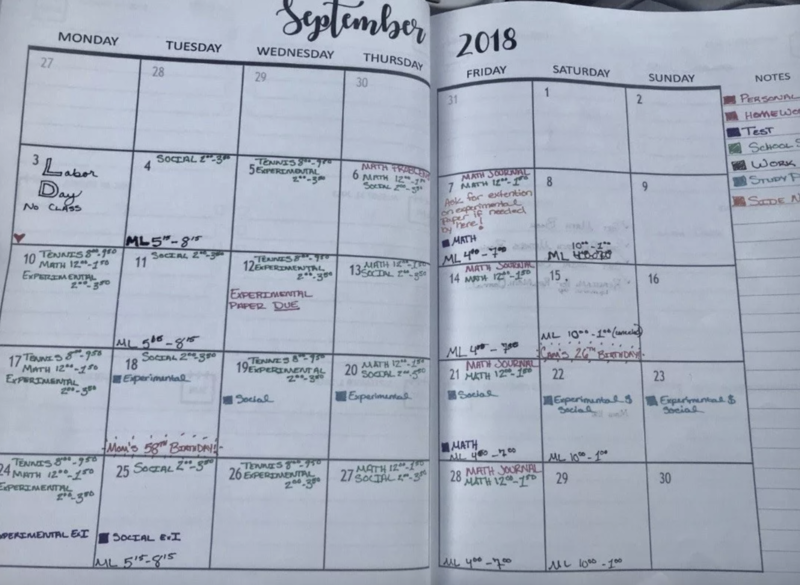 It was ready by the time I finished updating my calendar and emails, and cleared my desk for lunch. I can pack it before I leave for work with leftovers, or heat up a canned meal. Sometimes I buy bagged frozen meals and divide them up over several servings. This would work well for heating those up too." —Wes B. Get it from Amazon for $21.99+ (available in four colors). 3. A mini battery-operated desk vacuum that'll sweep up every crumb after the usual lunch-at-your-desk date. This little guy needs two AA batteries to start cleaning (not included). Get it from Amazon for $8.99+ (available in seven styles). 4. A Leslie Knope mousepad because I don't think anyone loves their job as much as Leslie loves hers. And maybe that unending positive attitude will rub off on you throughout the day. Get it from Victory Screech Labs on Etsy for $12.50. 5. 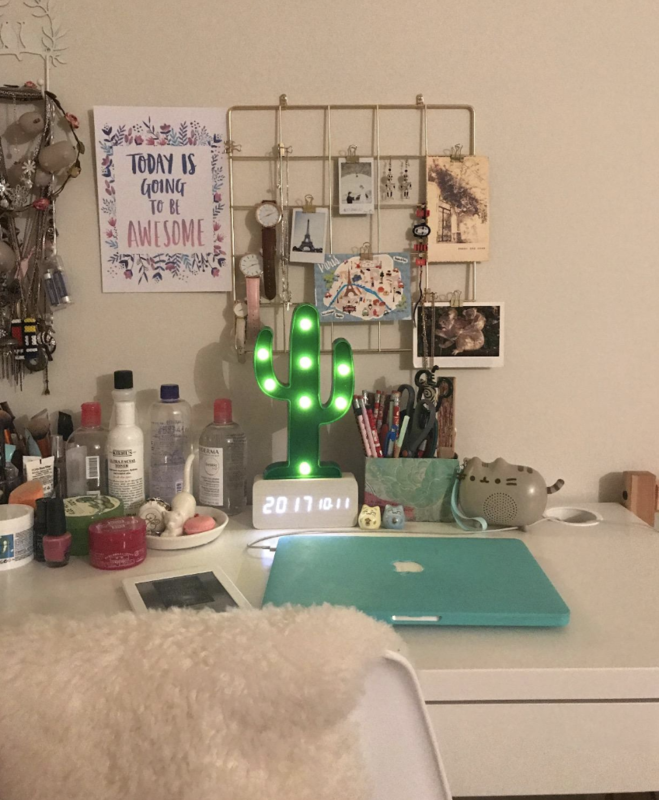 A cactus humidifier to combat that dry as heck office air that seems to exist at every job. This mini cactus is USB-powered and will run for four hours before shutting off. Get it from Amazon for $14.89+ (available in seven styles). 6. A travel cutlery set so you can go green and stop using plastic! Plus, you'll never have to worry about the office running out of forks. Get the set from Amazon for $13 (available in four colors). 7. 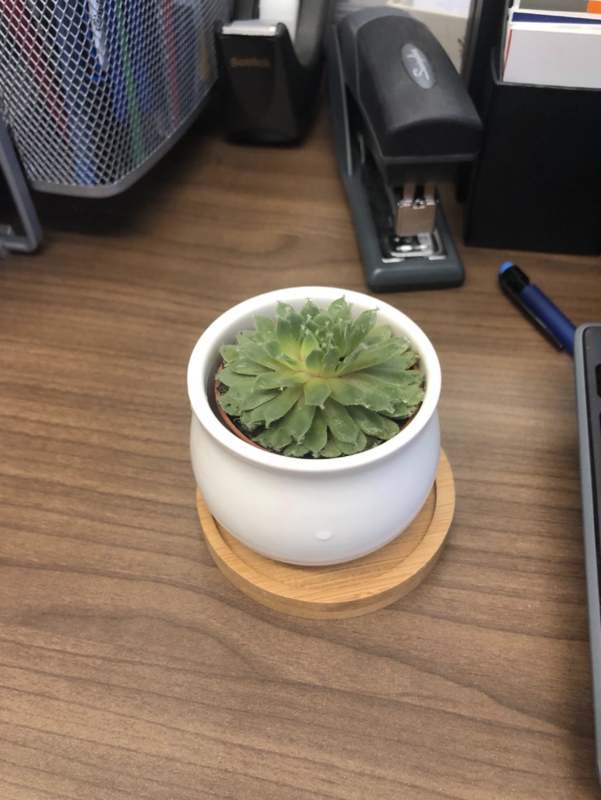 A set of 5 succulents that'll bring a bit of green to your desk! They're also incredibly easy to care for, so brown thumbs can let out a sigh of relief. These succulents come planted in their pots (with soil), so you don't need to transplant them. Upon purchase, you'll also receive a helpful care instruction guide. 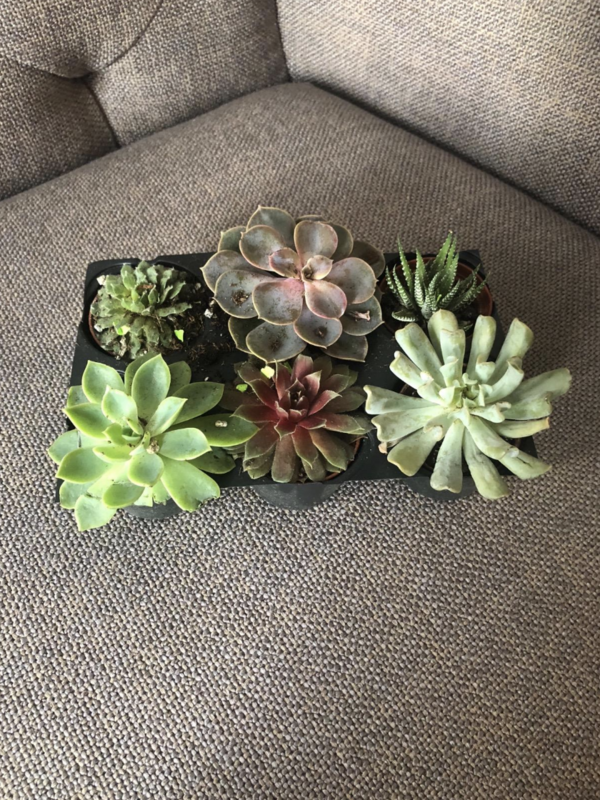 Just a note, each succulent grows differently and types sent to you may differ than what's in the image above. They don't need to be watered a ton, so read up on each one before going wild with the water. 8. 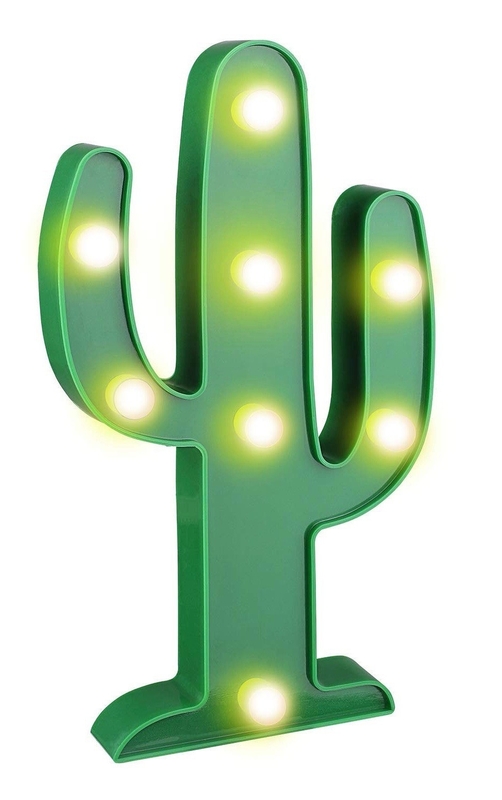 If live succulents seem like too much to handle (no judgement), this cactus light — it's a great way to incorporate greenery into your space while taking on 100% responsibility. This cactus is almost one foot tall. Get it from Amazon for $8.49+ (available in four styles). 9. A foot hammock so you can finally sit comfortably. I mean....you still need to stare at your computer all day long, sorry! Get it from Amazon for $20.69+ (available in two colors). 10. A Harry Potter cauldron mug for your afternoon (second) cup of coffee. You can also proudly represent your house while sipping. Get it from Firebox for $21.89 (all four houses available). 11. And speaking of mugs, this mug warmer will be something you're def gonna want on your desk at all times so you never run of the risk of *gasps* lukewarm coffee. 12. 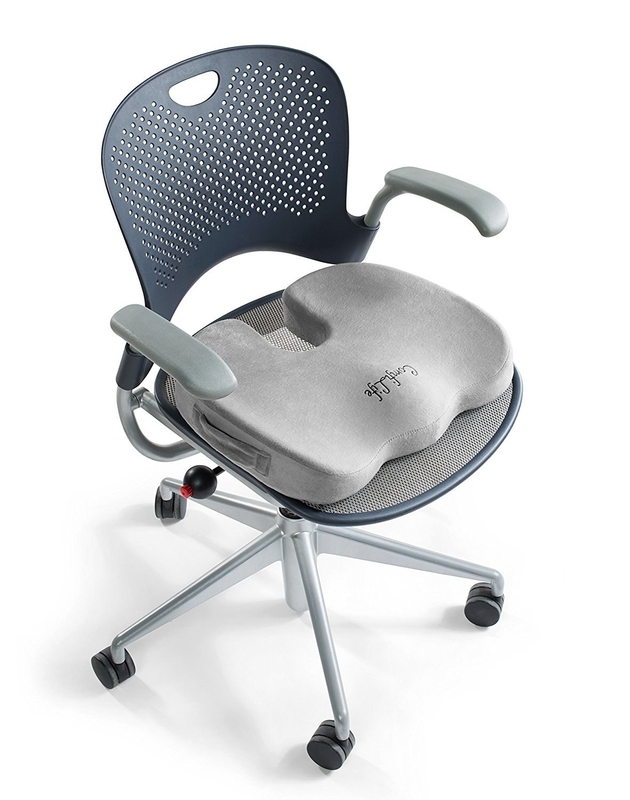 A memory foam seat and back cushion because I don't think a naturally comfortable desk chair exists in this world. Each have a removable cover that is machine washable. 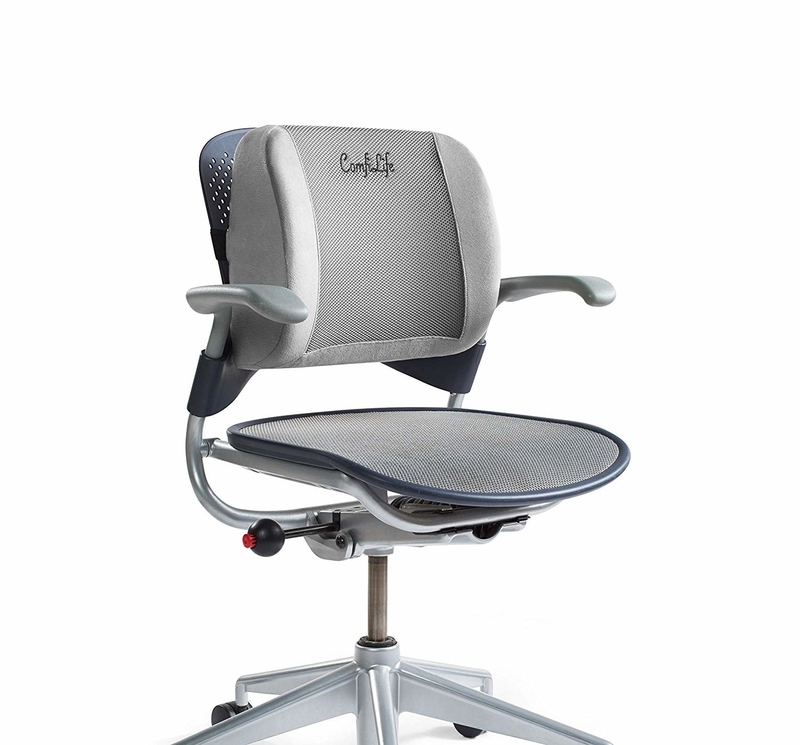 Get them from Amazon for $32.95 (seat) and $22.95 (back). 13. A mini heater to combat the days when your office feels like an actual ice box. A built-in safety feature will make sure that this little device won't overheat, even if left on for hours. 14. On the other hand...for the days when your workspace is a sauna, this desk fan will work wonders. This fan has two speeds, can convert from standing to clip-on, and has an adjustable head. Get it from Amazon for $14.99 (available in black and white). 15. A desktop monitor riser with three storage compartments so everything in your space can have a convenient place to live. 16. A fidget tool — it'll help you work out any stress or anxiety you may be feeling before a big presentation. This fidget is super tiny, so it won't draw attention when using it around others. Get one from Amazon for $7.99+ (available in four colors and as a set of two). 17. A Dundie award to keep on your desk to remind yourself just how great of an employee you are. Make Michael Scott proud with this trophy! 18. A set of flamingo pens that'll brighten your mood when you're caught in a (unnecessary) long meeting taking notes. Get four pens from Amazon for $9.56. 19. A water bottle with rainbow bands so you can keep track of just how much you drink over the course of a day. I have this water bottle and really like it! Once you've finished the entire bottle, you take a colored band and roll it up toward the top of the cup. This way, you can keep track of how many full bottles you drink. One bottle is 20 ounces. Get it from Amazon for $10.07+ (available in 16 styles). 20. 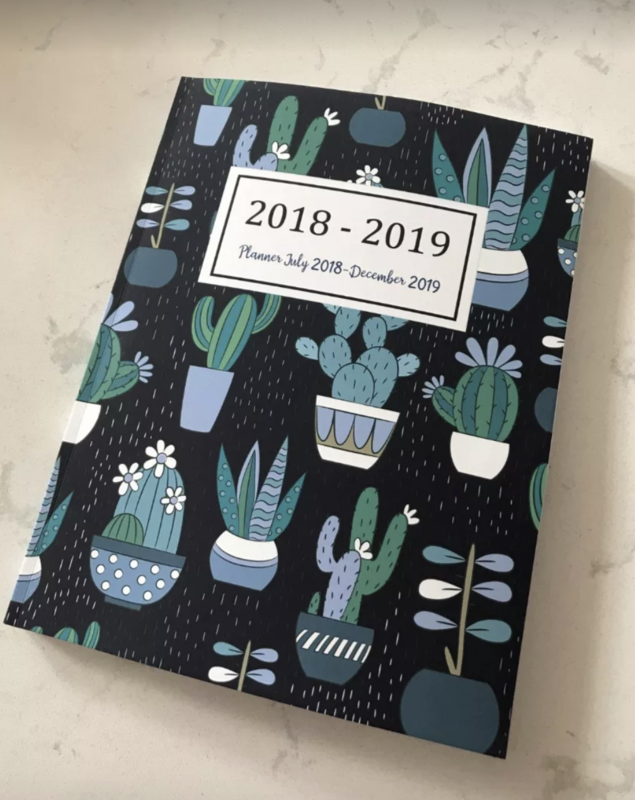 A planner to help organize your life by day, week, or month, to keep track of all your meetings and provide a place for any thoughts you may want to jot down and return to later. 21. 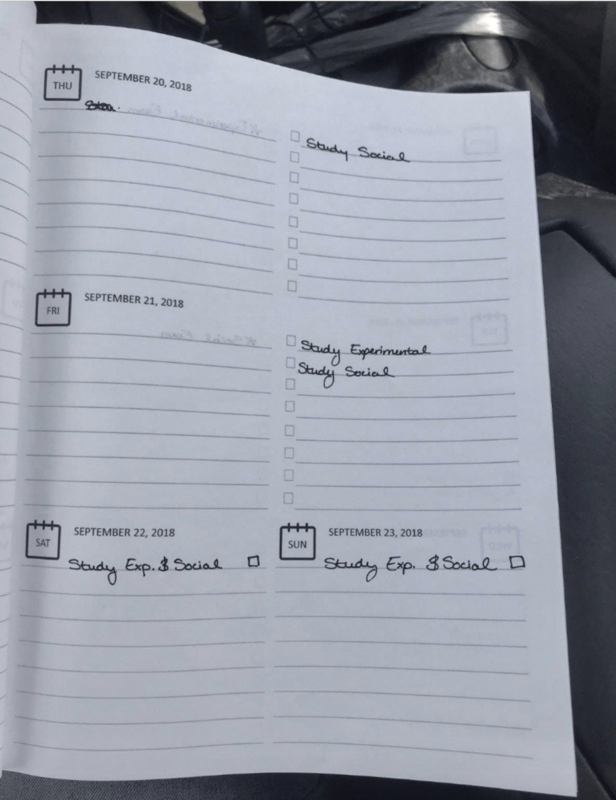 A 5-piece organizer because scrambling last minute for a pen or that super important document isn't a good look. This set includes a pencil cup holder, a letter sorter, a letter tray, a hanging file organizer, and a sticky note holder. 22. A pack of motivational cards that'll keep you focused and cheer you up if you're having a rough day. 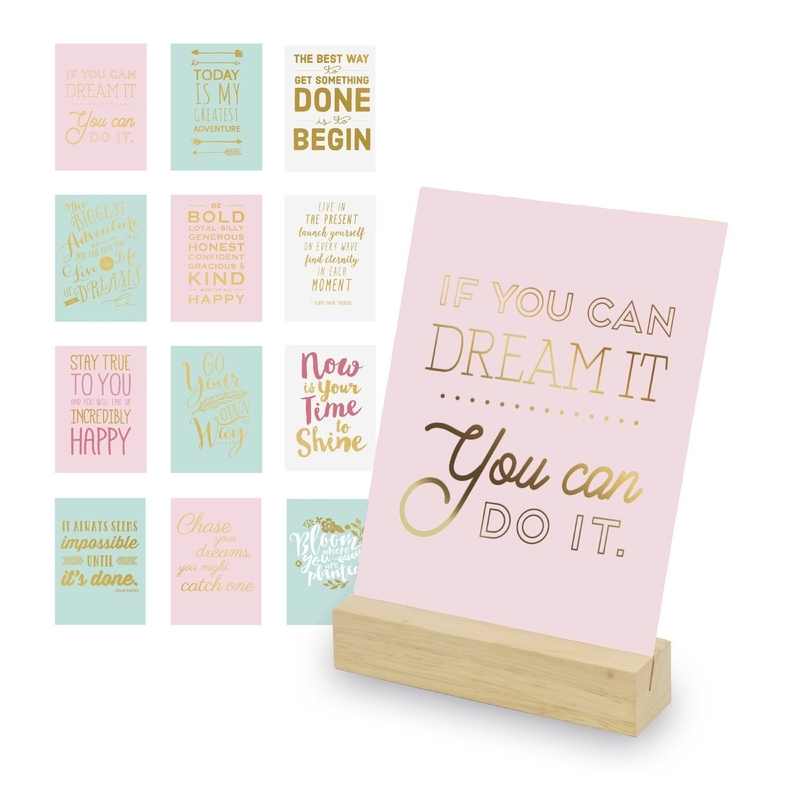 Get a set of 12 cards (with wooden base) from Amazon for $15.09+ (available in four styles). 23. A pair of noise-cancelling headphones so you can block out any and all annoying office noises and get yourself in the zone to crush some reports. 24. A caffeinated energy bar to help you survive that afternoon lull everyone experiences. These bars are like drinking a cup of coffee, but can be stored in your desk drawer or easily carried when on-the-go. Get a pack of 12 from Amazon for $17.13+ (available in three flavors). 25. And finally, a WTF button for those moments when you're just out of words and desperately need to leave the office.